You seem to have set the alignment to "fixed" shown circled in green below. Are you sure that's what you want? Also you have set the clone to source to a pattern. Are you sure you want this? Perhaps try using the alignment setting "none" or one of the other options. 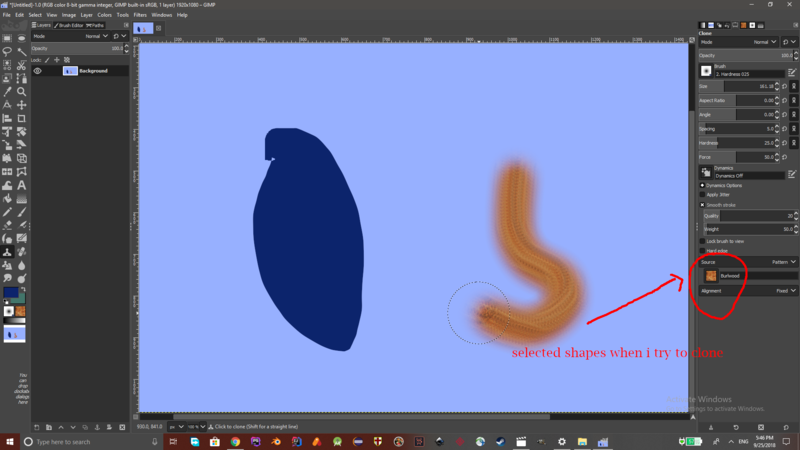 If you set it to "fixed" the clone source is reset to the same point for each step of the brush stroke, which will result in that weird pattern. 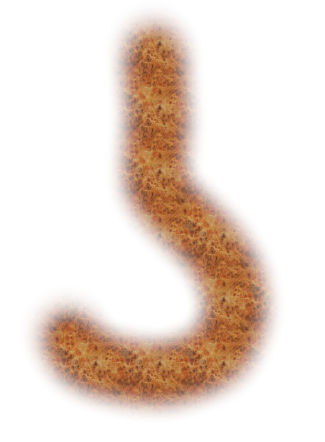 Here's an example with the alignment set to "none". Is this closer to what you were expecting? If you don't want to clone from a pattern - set it to "image" as the source. 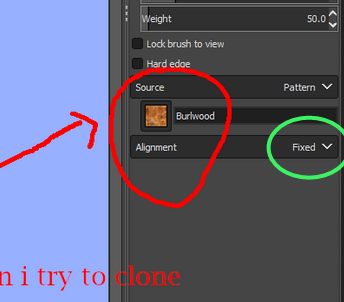 Then CTRL+click on the image to set the target point for the source, then you can clone from the image. You are so close to finding the answer yourself. To the right of the red ring in your screenshot, there is the possibility to choose Image as Source instead of Pattern. Click the tiny down arrow next to the word Pattern and choose Image instead. Not the answer you're looking for? Browse other questions tagged gimp glitch or ask your own question.